It's been a time of radical change in the job posting industry for 2016. The big job boards scrambling to stay relevant and profitable are pressured into unprecedented M&A activity. And social media platform saturation has manifested confusion amongst employers as to what really works as they try to win at talent acquisition. Trends that seem to resonate for 2016 include content and branding to engage niche communities and audiences. After all, most jobs in 2016 require a specific skill-set that tends to be much more difficult to find when deploying a broader horizontal approach. With that in mind, the niche job posting sites still thrive and provide the best value and penetration into tech talent pools. 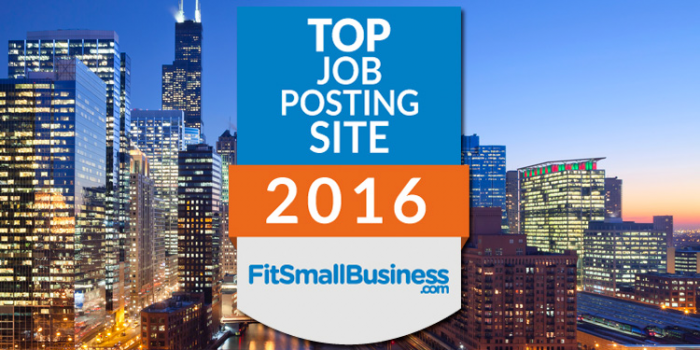 Recently, Fit Small Business compiled a list of the best IT job sites for 2016 with summary description and pricing. "There are thousands of job posting sites. This article is going to provide you with a list of the best paid job posting sites so that you can compare and figure out which ones are best for your small business," said Christy Hopkins of Fit Small Business. The paid job posting sites below are where you’ll want to look for part-time or full-time web managers, developers, mobile app developers or other technical roles. You may be able to find other good talent on here, but these websites are primarily known for technical roles. Dice was the original website for posting jobs to hire developer and tech talent. Most tech industry members have had a good experience with Dice. Price: Posting one job costs $395 for 30 days. Access a resume database for an additional fee. Along with Dice, StackOverflow is a go-to in the tech recruiting space. They price by the year or for several months at a time. This means you could buy say, 1 slot for a year, but once you filled it, you could put another one in for the remaining time. If you have constant tech needs, this could make sense. Price: 1 posting slot for 6 months is $1,299 or 12 months for $2,499. Github started as a community of developers who share code, challenge each other, and more. If you understand how to read code, this is a great site- you can see your potential hire’s code right in their Github profile. Price: $450/listing for 30 days. iCrunchData specializes in tech and data professionals and is also a publisher of news and trends in analytics, data, and technology. They have 4 online magazines that are primarily promoted through Twitter. You have the option of buying job credits in advance, and you get a discount for buying in bulk. Price: $299 for 30 days and then additional options based on the type of job being offered. This is a website geared towards Ruby developers. Ruby is a computer programming language, and many web-based applications are developed in the Ruby on Rails technical language stack. If you have no idea what this means, you probably don’t need a Ruby developer, but if you do, this is the spot to go! Price: Start at $99 for 45 days. Spun from popular tech news site TechCrunch, CrunchBoard is a job board made for its primary readership, which boasts over 12 million followers. It is a techie publications and also has conferences, swag, and more with the TechCrunch brand. Price: Posting a single job is $200, a 5 job pack is $895, and a 10 job pack is $1495. Job packs never expire. Just like its name, JustTechJobs is just that – tech jobs only, although that includes roles like technical sales roles. The site also has information on IT salaries and a resume search function so you can see IT talent near you. Price: $279 for a 30-day posting (job packs also available). *Update: As of 12/20/16, it appears this site is no longer functional. Emails to the company were not returned. "The IT job boards still remain the best value and offer the best reach into highly targeted talent pools. Especially when it comes to IT jobs, development jobs and data jobs, the competition for the best talent is a topic of interest for every talent acquisition professional," said icrunchdata. "As for other considerations as we head into 2017, it's quite possible that domestic tech talent will come at a premium if H-1B Visa regulations become more stringent under a new president. This particularly affects the technology sector and will create an increase in demand for technology professionals coupled with general growth within the sector," said icrunchdata.